Students seeking hospitality degrees in Arizona get to experience the beauty and grandeur of America’s southwest in gorgeous desert and mountain environments. There are over a million students in schools all over Arizona, and there are around 30 state-funded and private universities in the state. Students also have several additional educational opportunities at religious institutions and for-profit educational institutes and universities. Arizona was one of the last states to become part of the United States and didn’t gain statehood until 1912 as the 48th state. However, this vibrant and historic area has seen settlement for thousands of years as the home of early Pueblo peoples in North America. This public community college sits in Yuma, Arizona and also offers classes in other towns like San Luis, Somerton, and Wellton. Established in 1963, Arizona Western College has a team called the Matadors and its colors are red (cardinal) and gold. The school has almost 100 academic programs to offer students. Upon completion of one of the school’s programs, students will be granted an associate’s degree or occupational certificate. One of the interesting features of this college is its student housing option. Most community colleges don’t offer student housing, but there are three residence halls on the Arizona Western campus in Yuma. Students attend classes on the main Yuma campus to obtain their associate’s degree in hotel and restaurant management. Some of the courses required of the program include Property Management, Customer Services Management, and Introduction to Hospitality. Students must complete a total of 64 credits to qualify for a degree and must also take a few general education classes which include classes in English, math, and the arts. Students often transfer to Northern Arizona University upon completion of study at Arizona Western, which makes these hospitality degrees in Arizona a perfect jumping-off point for further study. With over 72,000 students on all its campuses, Arizona State University in Tempe is an incredibly large university and is one of the country’s most recently voted research universities. The university began its life in the 1880s as Tempe Normal School, and it became a teacher’s college in the early 1900s. The 1990s saw dramatic expansion and development for the university where it would grow into its current large establishment. A half billion dollars was invested in the university, which was financed completely from private donors. Today, the university offers at least 50 undergraduate degrees that may be obtained online and which carry the same weight as the university’s on-campus programs. Arizona State University suggests that the tourism industry around the world employs more people than any other business. The program is designed to provide a comprehensive education on tourism as well as several important areas of travel and hospitality. Students will take classes in areas such as visitor experiences, host-guest interaction, and the psychology of travel. Students are also required to take an internship as part of study in the program. Students may choose to intern with many different businesses that include resorts, conventions, and traditional tourist sites. Avondale, Arizona’s Estrella Mountain Community College has been offering classes since 1992 and is part of one of the largest community college districts in the nation. Around 15,000 students attend college at EMCC each year and have access to many different associate degree programs and may transfer the credits received at the college to 4-year institutions around the state. The college hopes to expand its educational offerings in the next several years with the expected jump in population from the greater Phoenix Metropolitan Area. The hospitality and hotel management certificate from Estrella is designed to help students who wish to enter the hospitality industry by providing a broad education on the industry. As one of the fastest growing industries in the United States, Estrella says that its students have the opportunity to move into several different types of careers. Students may also continue studies at major four-year colleges with credits transferred from the certificate program. Required courses include Introduction to Hospitality, Hotel Facility Management, Food Service Cost Systems, and Hotel and Restaurant Law. Established at the end of the 19th century, Northern Arizona University is a public college in the northern part of the state in Flagstaff, Arizona. There are almost 40 satellite campuses around the state where students can study if they’re not within driving distance of the university. The college has a healthy number of students at around 26,000 undergraduates and postgraduate attendees. One of the interesting features of the school is its commitment to affordable tuition. As freshmen, students are guaranteed the same tuition rate for each of their years as an undergraduate student. The school also provides tuition breaks for students living in the western United States. The undergraduate degree offered from NAU in hotel and restaurant management focuses on classic hospitality classes like guest services, food prep, and sales. Students benefit from a highly sought-after program that is nationally recognized by the Council on Hotel, Restaurant, and Institutional Education. Some of the careers that the college expects students to consider include hotel management, club and spa management, culinary arts, and entrepreneurial opportunities. The college expects that students who decide to pursue work in this vibrant industry will have an easy time finding employment since the industry is likely to grow so fast in the next decade. Students who wish to work in hotels in other countries will want to consider the international version of NAU’s hospitality degrees. The students enrolled in this bachelor program must complete at least four semesters of a foreign language and must also study abroad for one semester. The hospitality industry in the United States is slated to grow impressively, but international tourism and the need for people trained in hospitality will also likely grow over the next decade. This means hospitality degrees in Arizona that focus on international hospitality may open some amazing new doors for employment opportunities abroad. There are over 365 talented instructors and staff at Pima Community College, which has a home base of Pima, Arizona. Students from the Tucson metropolitan area routinely consider this college as a start for higher education opportunities. Students above traditional age often take classes and earn certificates at Pima when they are desirous of a career change or enhancing their knowledge at a present job. There are an incredible number of students enrolled at the college with numbers breaching 75,000 each year. The college has offered classes since 1969 when local citizens voted for the creation of a junior college. Some students may wish to gain basic skills and training from hospitality degrees in Arizona without the time commitment of a 4-year degree. Pima’s Hotel and Restaurant Management certificate program is a perfect solution for students who want to obtain entry level jobs with ease and swiftly rise up the ranks in hospitality and restaurant companies. Students take a variety of introductory classes like Hotel Food and Beverage Management, Front Office Procedures, and Commercial Food. After completing the certificate program at Pima, some students may choose to move onto an associate of arts degree. This advanced degree may provide opportunities in employment at pay rates greater than what is traditionally earned as an entry-level worker. In addition, students may also choose to go onto a bachelor’s degree program if they feel that the educational world is one in which they’d like to stay for a further few years. Students must complete a variety of core classes in English, the humanities, and math as well as several classes geared toward the hotel and restaurant industries. Scottsdale Community College is located within the Salt River Pima-Maricopa Indian Community, which is a suburb near Phoenix. There are around 25,000 students who attend this college, which has operated since 1969. The first class enrolled at SCC had just 948 students, so the school’s growth over the past 40 years has been extraordinary. The college originally focused its recruitment efforts on students in the close vicinity of the school, but recent years and demand for classes have seen a great expansion of students from all over the metro area. The school offers a variety of associates degrees and certificates of completion. 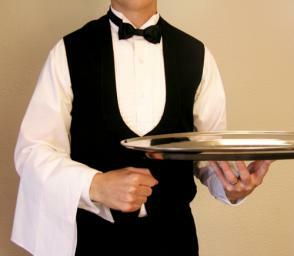 Each of the college’s hospitality degrees is an associate’s. SCC suggests that students who enjoy working with people would flourish by studying hospitality for future employment. The college says that the industry is a competitive one and that workers who have school experience stand the best chance of snagging the best jobs. The college strives to offer students instruction on important hospitality classes as well as instruction on the business side of hospitality, which is vitally important for entrepreneurs within the industry. Students who wish to lead others by managing restaurants and commercial food service operations will benefit from the associate’s degree in hospitality and tourism/restaurant management. The program helps students learn written and oral communication, which is essential for any manager who wishes to communicate effectively with employees and customers. The program also provides instruction on varied topics like mathematical reasoning, computer science, and humanities. Economists say that the hospitality industry is one of the biggest sources of income for the state of Arizona and helps the state fund many social programs. Billions of tourist dollars were essential for helping the state through the difficult financial era of the Great Recession. In addition, these hospitality and tourism dollars have helped related industries get through tough economic times and flourish during the recovery. Everyone from local restaurants to the farmers who sell food to those restaurants is aided by tourist dollars each year. Students who wish to thrive in a dynamic industry will want to investigate hospitality degrees in Arizona where there is much opportunity for success now and in the future. For more information on Hospitality Degrees, please see this article on “Top 10 Best Online Hotel and Hospitality Management Degrees“.